The VELOBEL Company belongs among the most significant Czech and also European manufacturers of bicycle parts, components and accessories. It continues a tradition that was founded at the beginning of the 20th century. Thanks to the wide machinery there exists also an important part of production for other industries as a furniture and building branch. As well electrogalvanization (zinc, chromium and satin plating) is a very essential part of activities. 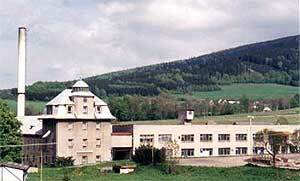 The plant is located in nothern Moravia, at the foot of Jeseniky Mountains, close to the Polish frontier. Out of the total productionvolume, more then 50% is exported to more then 15 countries of Europe, Africa and South America.